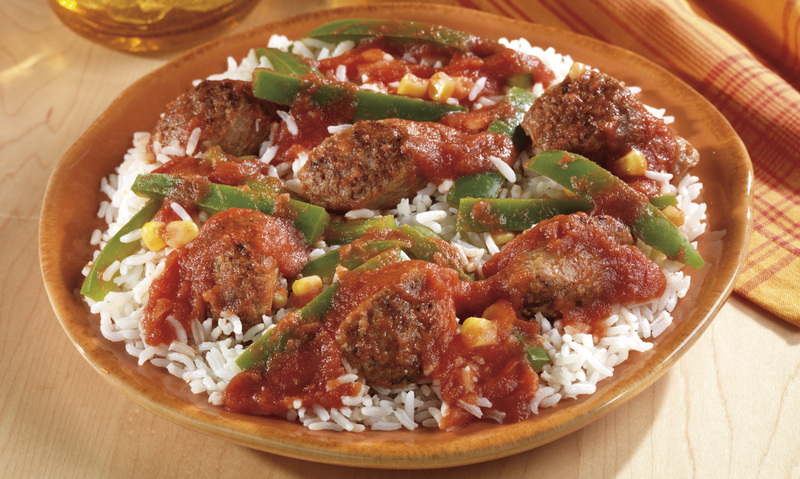 A variation of stuffed peppers made fast and easy with Italian sausage, green peppers, and corn simmered in a tomato sauce and served over white rice. In a nonstick skillet over medium heat, cook sausage and peppers until sausage is browned. Add tomato sauce, corn and Worcestershire sauce. Bring to a boil, cover and reduce heat to low. Simmer 15 minutes or until sausage is fully cooked. Serve over hot rice. * Can also use 1 lb. Bob Evans Original Recipe Sausage Roll. Just crumble and cook with peppers in a skillet until the sausage is browned. 1 In a nonstick skillet over medium heat, cook sausage and peppers until sausage is browned. 2 Add tomato sauce, corn and Worcestershire sauce. Bring to a boil, cover and reduce heat to low. 3 Simmer 15 minutes or until sausage is fully cooked. Serve over hot rice. * Can also use 1 lb. 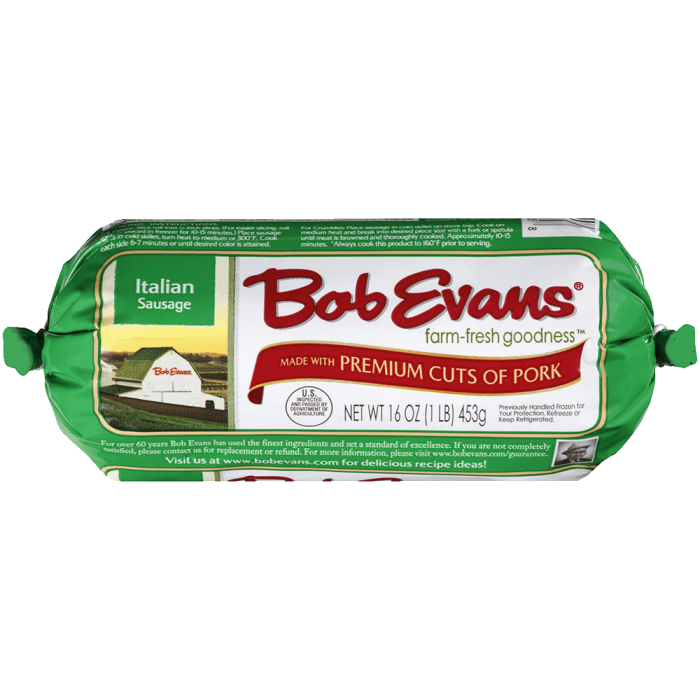 Bob Evans Original Recipe Sausage Roll. Just crumble and cook with peppers in a skillet until the sausage is browned.